Staff photo by Michael G. Seamans Mt. 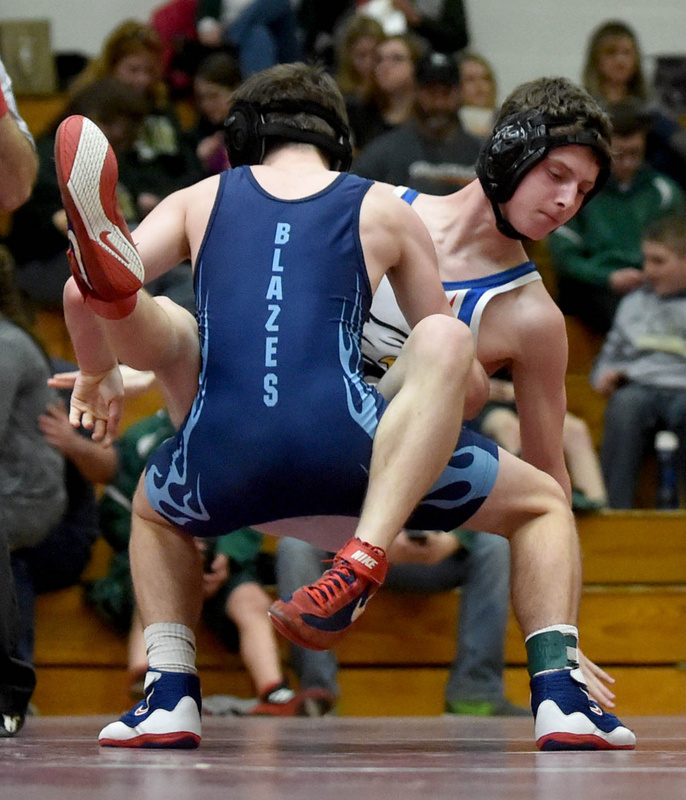 Blue High School's Hayden Nile, top, wrestles Monmouth's Abram Sirois during the annual Nokomis Warrior Clash on Saturday in Newport. 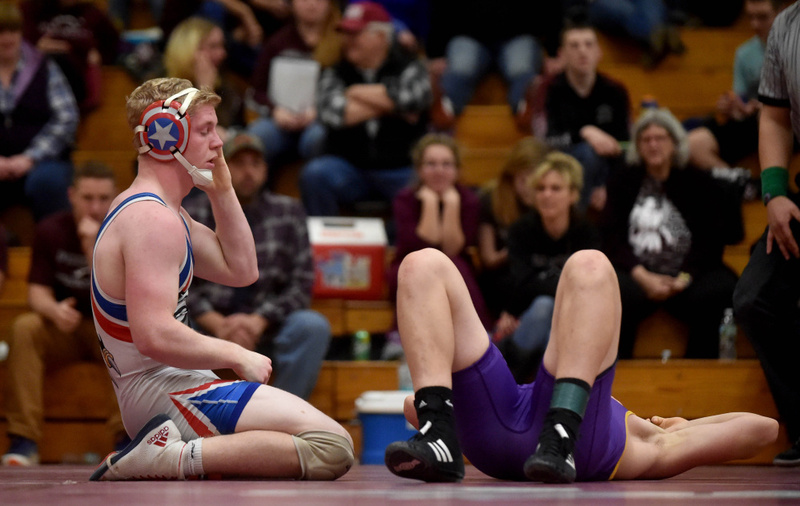 NEWPORT — With no wrestling program at Messalonskee High School, Austin Pelletier and his Eagle teammates have found the next best thing. As it turns out, the next best thing is the very best thing, training with the defending Class A state champs. Pelletier and his Eagle teammates — John Lujan, Steve Lujan, and Grady Reardon — train and attend meets with Skowhegan, although they compete as representatives of Messalonskee. On Saturday, they all took part in the Warrior Clash at Nokomis Regional High School. While the Messalonskee and Skowhegan wrestlers wear different uniforms, they consider themselves one big team. 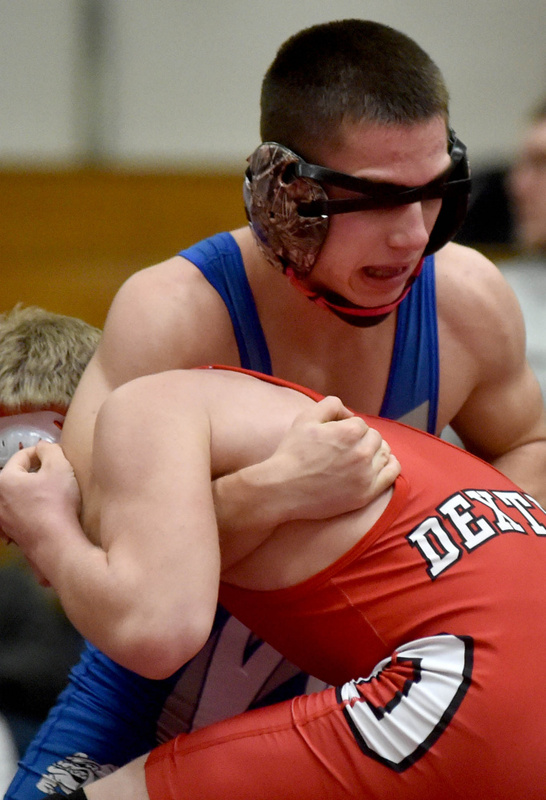 As a freshman, Pelletier worked out with Winslow’s wrestling team. 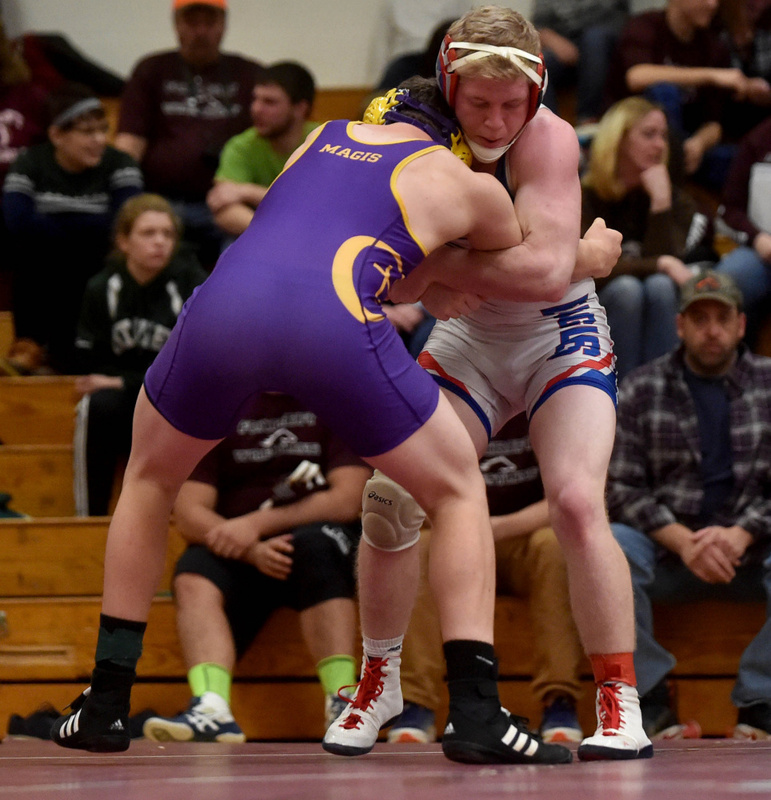 Last year, he made the move to Skowhegan, in order to train with a Class A sized school like Messalonskee. In Skowhegan, Pelletier found the perfect fit, and this season he was able to bring a few teammates along. 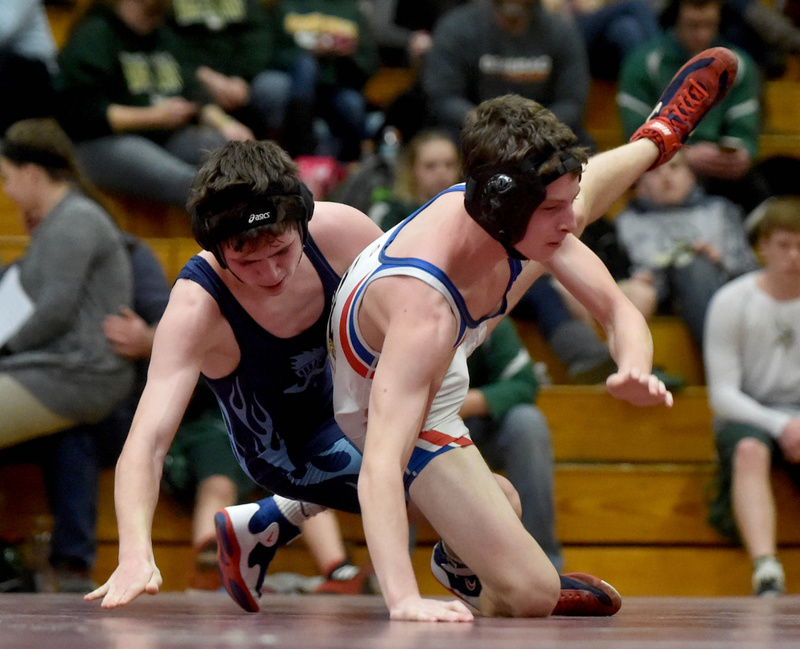 Having more talented wrestlers at practice means everyone gets better, Skowhegan junior Jon Bell said. The Indians graduated a lot of the wrestlers who contributed to last season’s state championship. 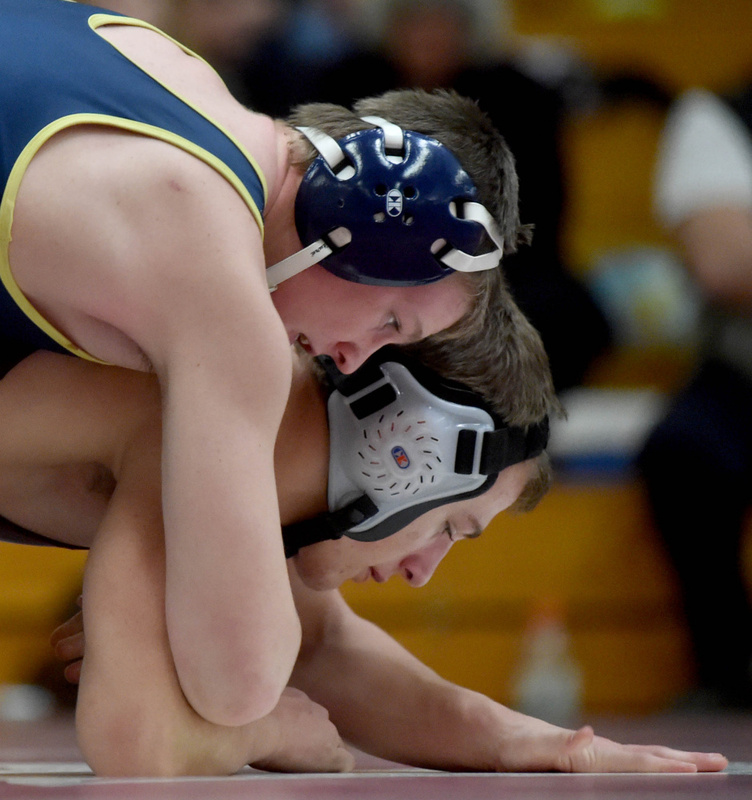 Pelletier placed fourth at states last season. “With all the kids we graduated, (Pelletier) stepped in. He works as hard in practice as anybody. He really does good for us,” Bell said. “He pushes us hard at practice and builds us as a team,” Skowhegan’s John Nadeau added of training with Pelletier. 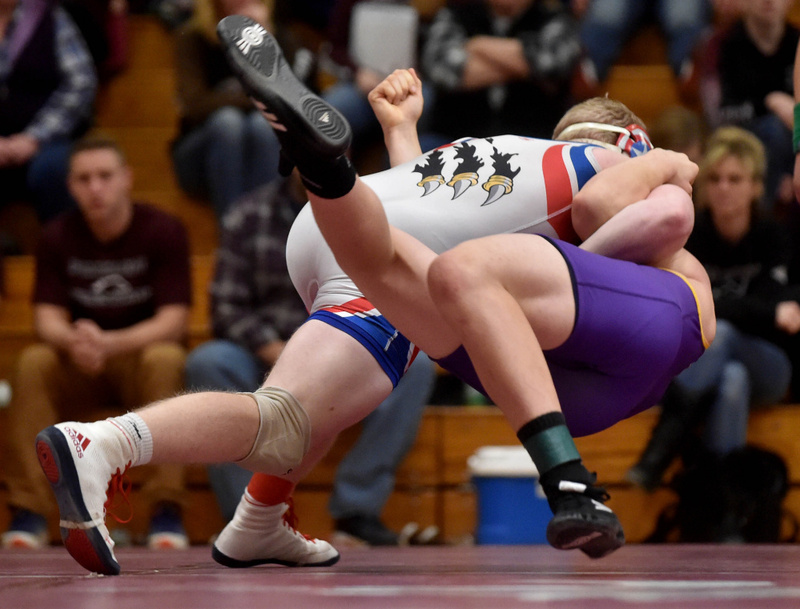 Thompson said the arrangement has worked for both Skowhegan and Messalonskee, making every wrestler better. 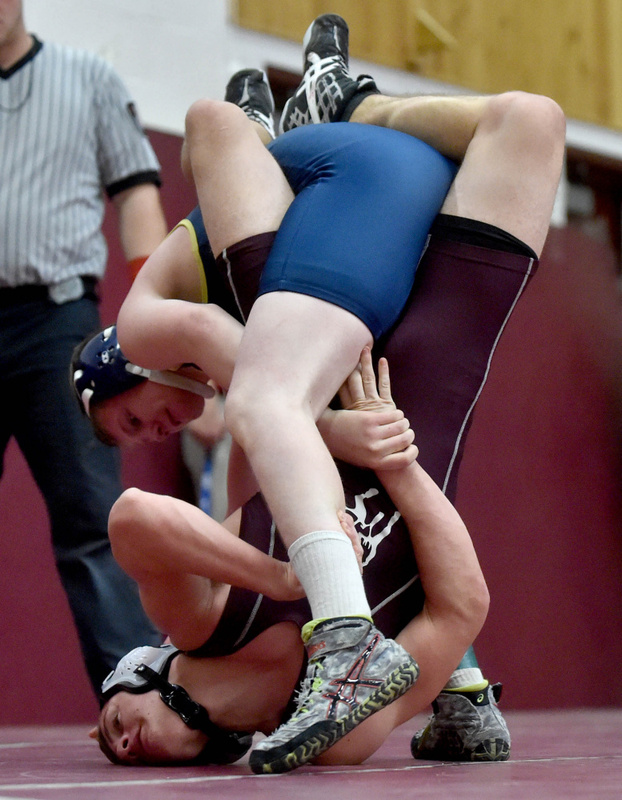 On Saturday, Pelletier, Bell and Nadeau each competed in a different weight class. They know, however, the potential exists to face each other in a match. 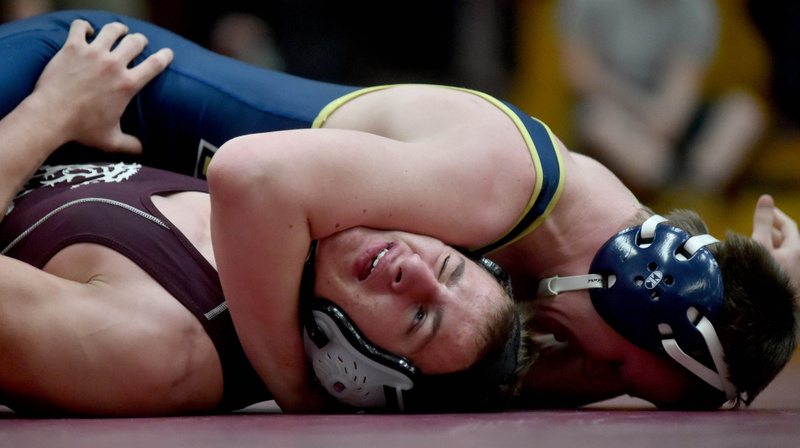 That almost happened earlier this season, at the Noble Invitational, when Bell and Pelletier were in the same 160-pound weight class. “We were in the same bracket, but we ended up on opposite sides. I got fifth and he got fourth,” Bell said.